The 16 mailboxes on the cover offer an important clue; there are 16 different artists featured and the foreword “instrumentation: guests, as listed; GS: remainder.” So, this is volume 2 of a similar project that went off fairly successfully around a year ago titled Invisible Ground of Sympathy, and some of the artists from that one are back for a second helping here on Visible, including Forrest Fang, Dave Newhouse, Bret Hart, Walter Whitney, and perhaps a couple others. 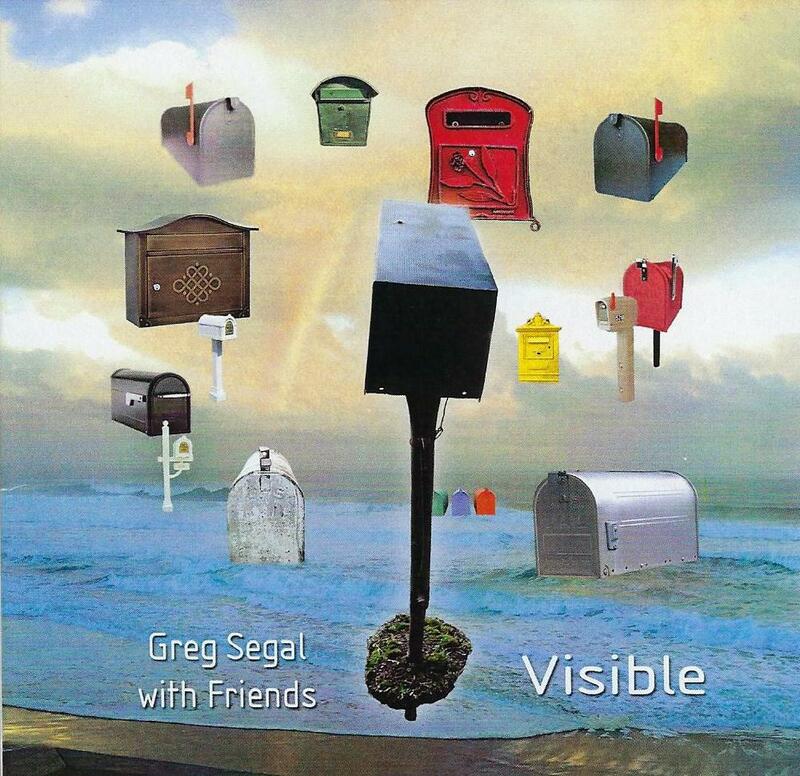 Here is how it works: the guest artists send Greg Segal an unfinished or unarranged composition in the mail (get it?) and Greg Segal adds more instrumentation to it to complete it. What I’m not sure about is if the originators provide any instructions of how they would like the pieces to be completed, or if Segal just does whatever he wants to them, and also it’s unknown whether the originators get to hear the finished pieces for a stamp of approval, or if Segal alone makes that decision. This is hardly a true collaboration with musicians in the same sound space working together, but what do I know – In many cases it works surprisingly well, in other cases not so much. One of the most interesting pieces here is Jon Charles Newman’s “The Crosseyed Ghost of Avatar,” where Newman supplies the multiple layers of lead and rhythm guitars, bass and other samples, while Segal adds the drums and percussion, following the bass as a guide. In only three minutes they manage to create something pretty unforgettable that shifts gears several times throughout the cut. In a sort of inversion to that, in “Avocado Kaleidoscope,” Paul Sears submits an interesting kit drum track to which Segal adds guitars, bass, several keyboards, and is that a theremin? All kinds of stuff going on, so much so that at times it leans toward chaos. Hyam Sosnow, a musician that Segal collaborated with for many years in Jugalbandi, submitted “The Pucker Dance,” a piece on analog modular synth to which Segal adds drums, additional keyboards, and snarly distorted guitar bits, creating another very successful effort. I guess one thing to be said that every piece here is so different from one another that after a few tracks one forgets what exactly it is they are listening to, but that said there are plenty more interesting pieces here that a listener can get absorbed in.